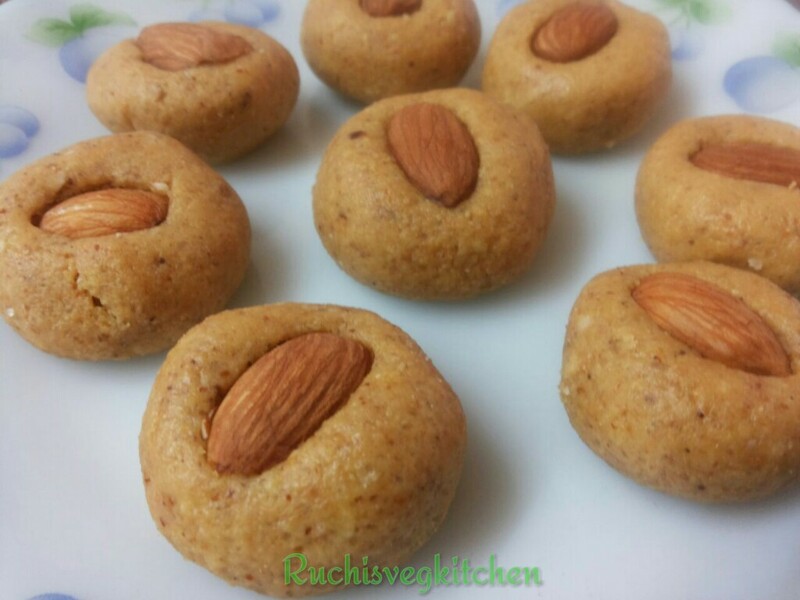 A super easy, yummy , healthy ladoos in just few minutes.. 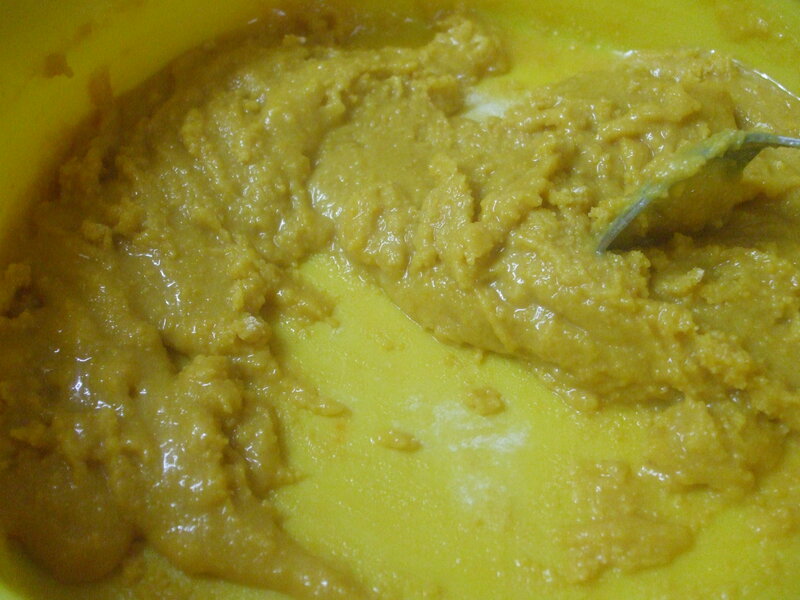 It consumes very less GHEE compare to traditional method. 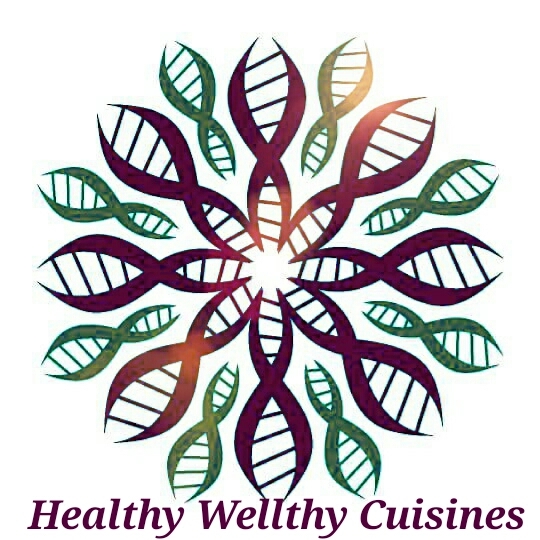 Winter is a perfect season for such healthy food. 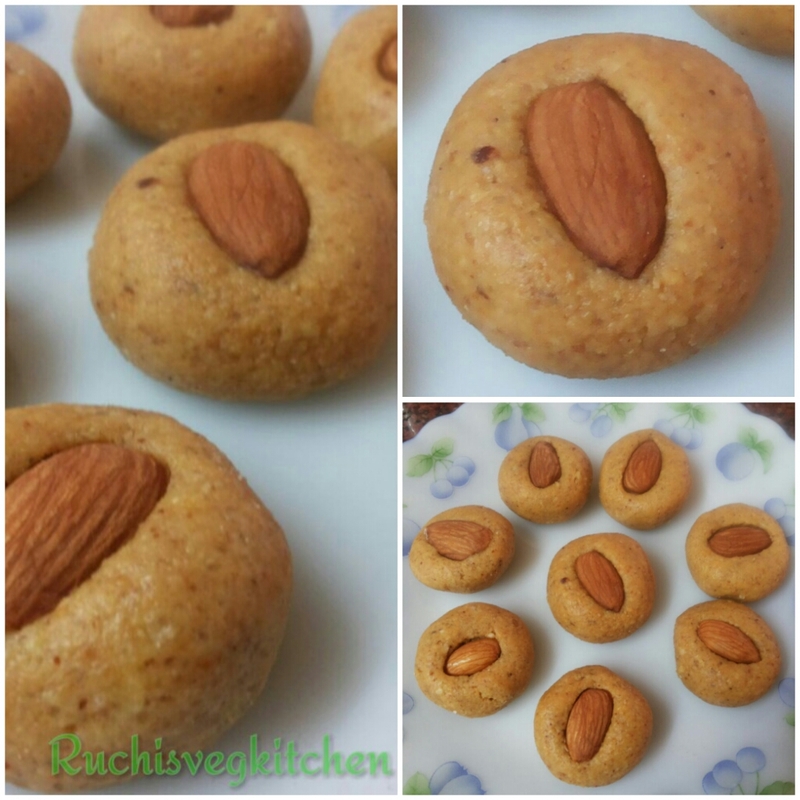 A super easy way to feed healthy and yummy to kids.. Everyone loves Besan ladoo and when we add lots of Almonds in that , its healthy too 🙂 :). 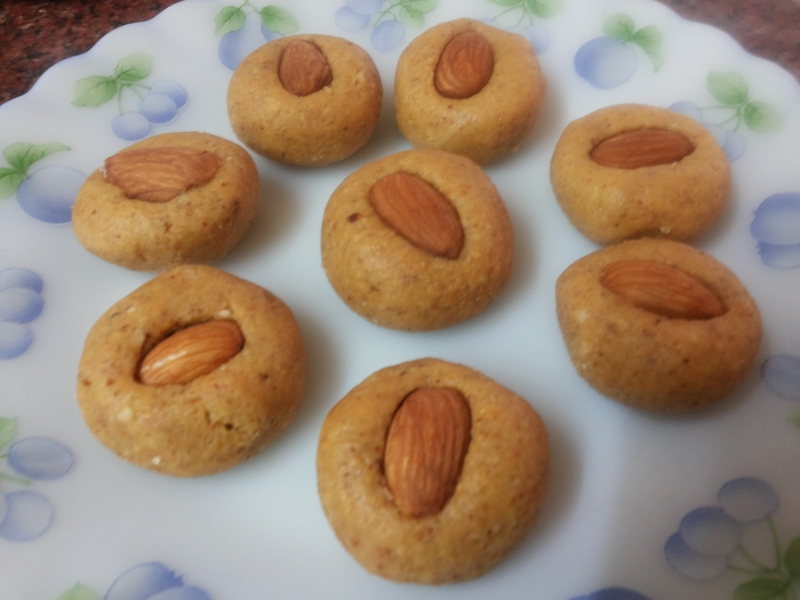 My sister, Jalpa Mistry taught me this recipe . 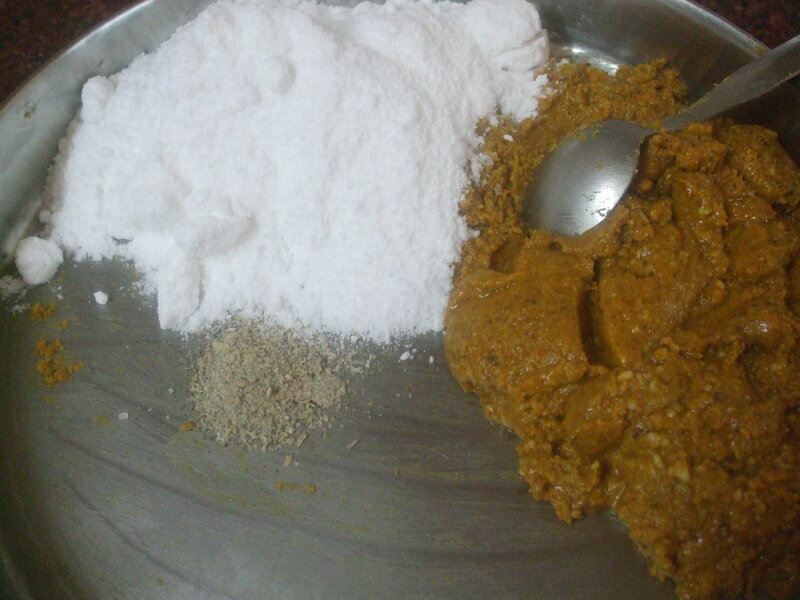 One can also add other nuts like walnut, cashew as per likings. 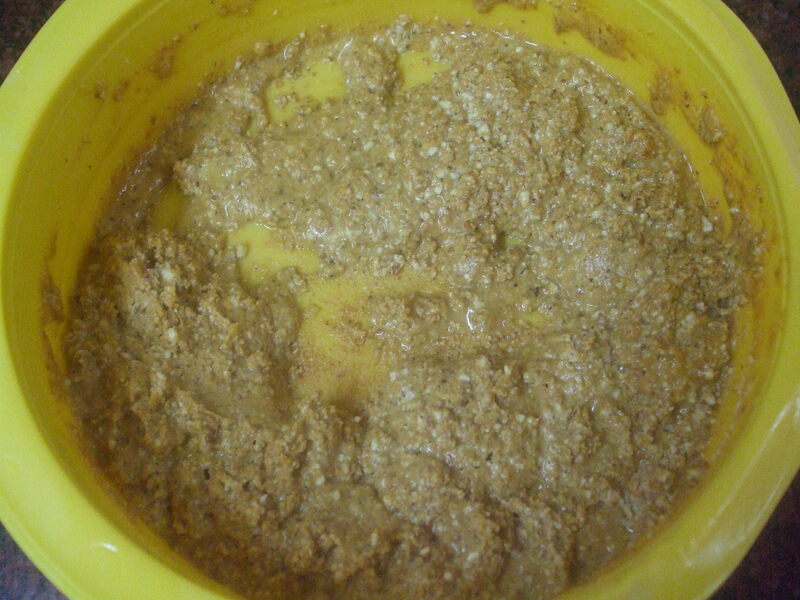 First mix ghee and besan in a microwave safe bowl . Then microwave for 2 mins . 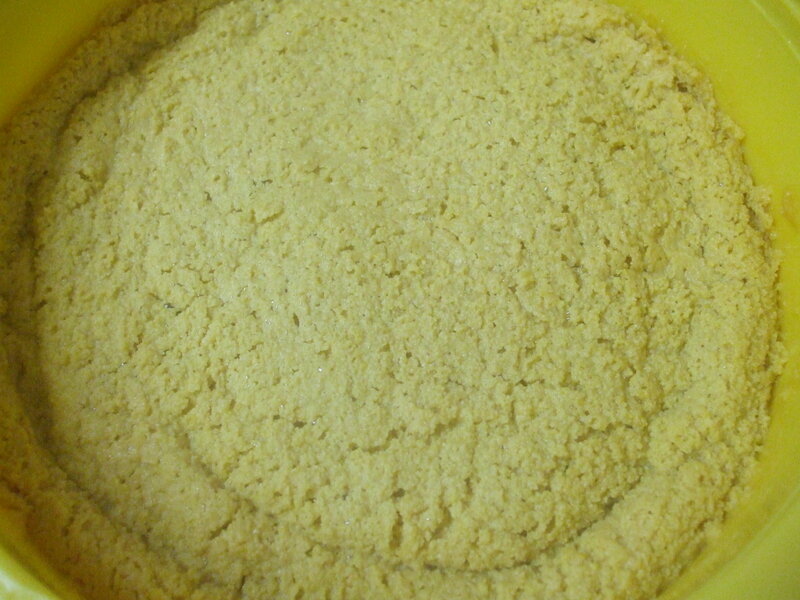 mix this mixture with spoon and microwave for 2 mins again.Remove from microwave and mix it properly and cook for 1 min more. 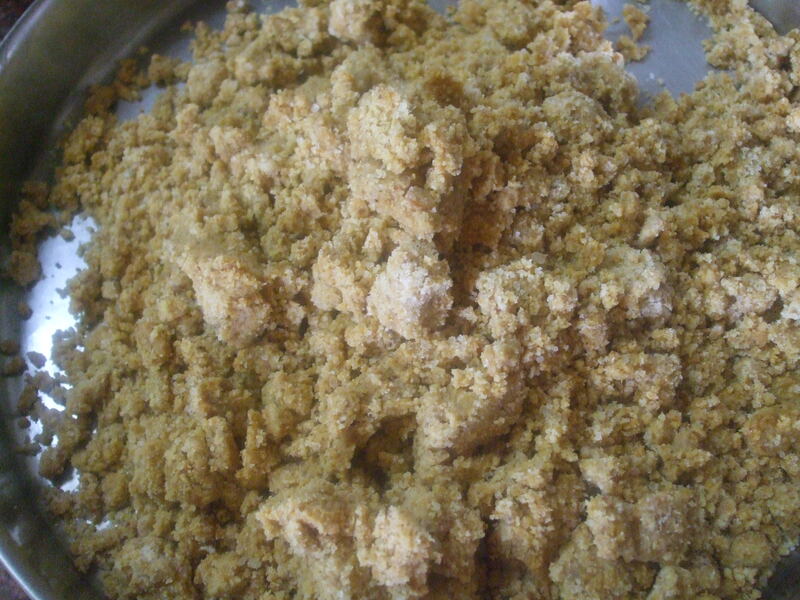 Do same and microwave it for 1 min. 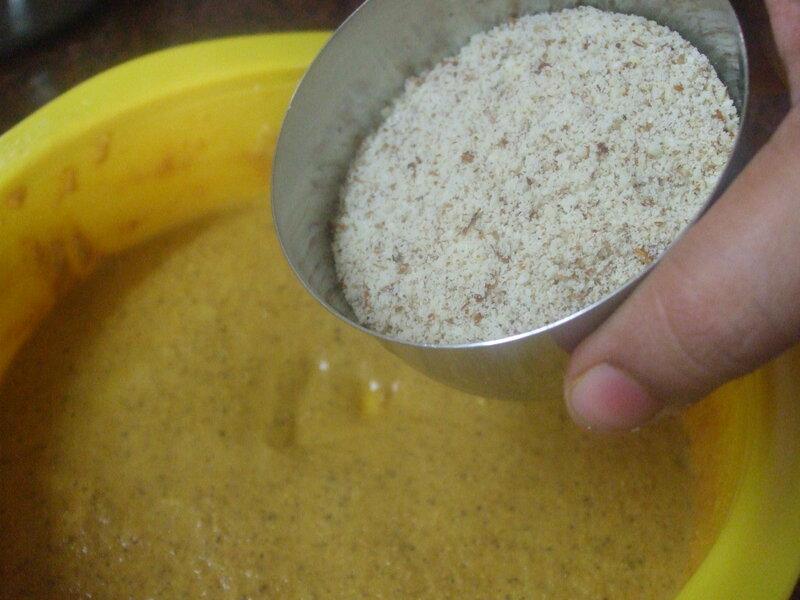 Total 6- 7 minutes it will take to give perfect aroma.. whenever u can see that besan colour is changed its done.. ..
Now Mix Almond Powder, i crushed Almonds in Mixer. 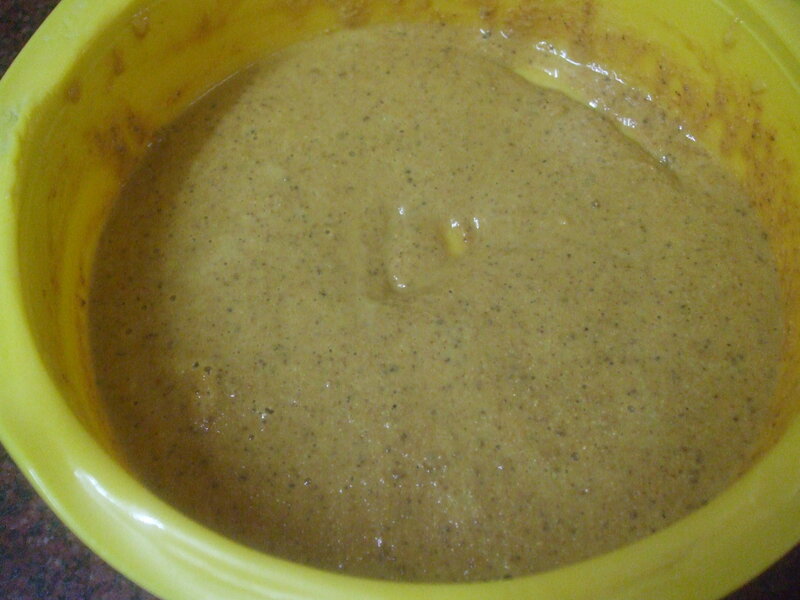 Mix well and Again Microwave for 20 seconds..
Now add powered sugar and cardamom powder. 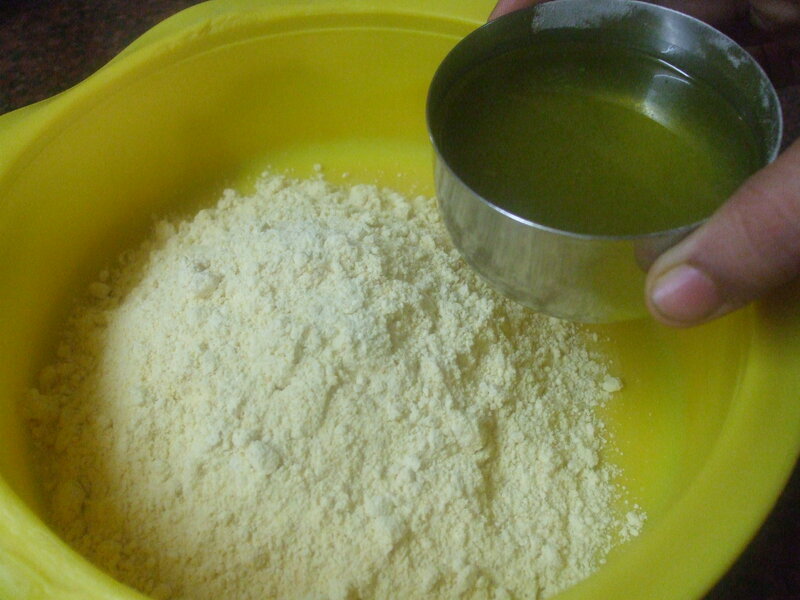 ..
You can add 1 tsp Ghee more if you feel its more dry to give shape. Make a small ball or whatever you want. 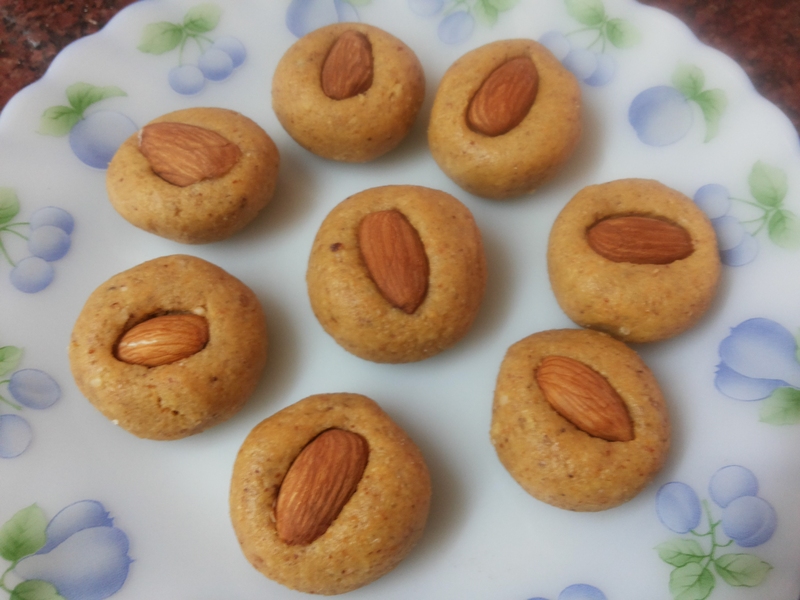 .. garnish with Almonds. No time consuming. ..and very easy for everyone.